sailboat. : The Me-Time Tag! Which ever book I'm currently reading at the time, but if I'm feeling a little sad or just want to feel instantly comforted I always go back to Harry Potter. There's nothing quite like the nostalgic feeling that it gives me every time. Always something comfortable, which usually means pyjamas! 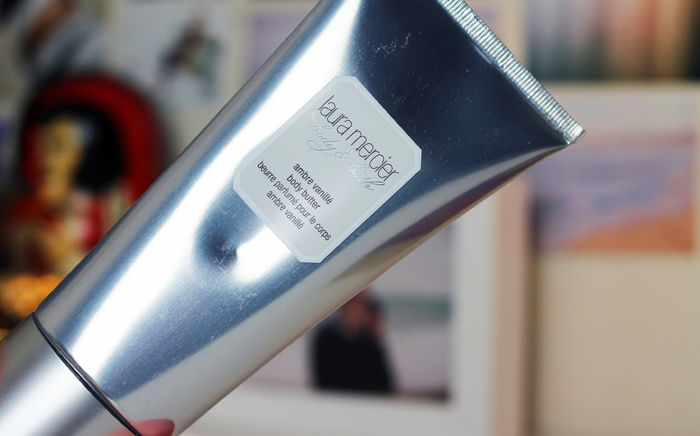 The frankly utterly fabulous ladies over at Birchbox gifted me a tube of the Laura Mercier Ambre Vanille body butter and I can't thank them enough for it. It has such a decadent scent, a little goes a long way, and it feels like such a treat. 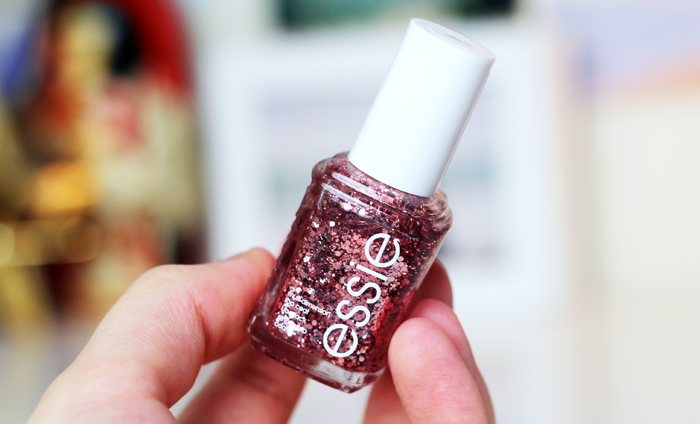 Essie A Cut Above. It's so beautiful and I don't think you can ever go too far wrong with a bit of sparkle. I'll never say no to a mug of peppermint hot chocolate with marshmallows. NEOM Comforting. 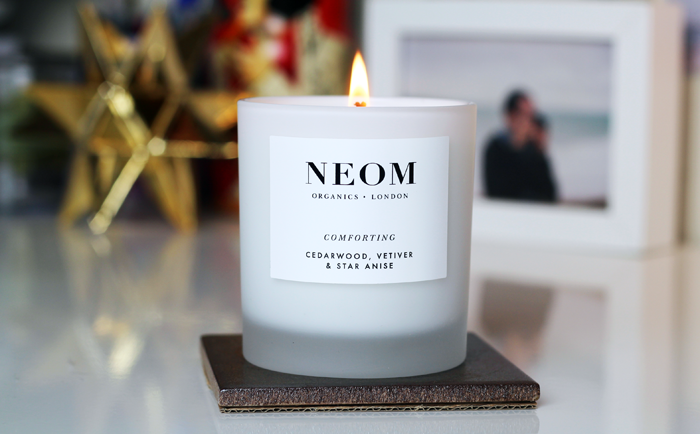 It's cedarwood, vetiver and star anise; they have definitely named it perfectly, it's enormously comforting. Like a long, warm, cuddle. Only really in the summertime when I like to spend 15 minutes outside drinking my morning coffee. I think I would if I lived closer to a cinema, but since it's quite a trip it's probably not one I'd make alone. The cinema isn't really my favourite place though because I always get the person that has brought really noisy snacks sitting really close to me. Currently I'm a little bit in love with Rockett St George. Their homeware pieces are so unique and I currently have my eye on this beautiful ship snow globe decoration! I have a bit of a secret (not so secret now!) thing for sudoku puzzles. I'd love to know how you like to spend your you-time! Loved seeing Fleur do this video and loved reading yours too, the questions are great. I'm going to have to check out that homeware store, sounds great! completely agree with the comforting aspect of Harry Potter - hogwarts will always be there to welcome you home, and i was literally obsessed with sudoku puzzles a couple of years ago, i had to stop because it was all i was doing, really love your photographs!! Ambre Vanille is my fave scent from Laura Mercier. The body butter sounds incredible and such a luxurious product to treat yourself with! I love love love Sudoku puzzles too. Me-time for me is mostly about a warm bubble bath and a book. I am scared that I'll drop the book in the water, but it never happened so far. Ah, I've had A Cut Above on my wishlist for ages! I love hot chocolate - drinking a mug right now! and I love sudoku puzzles! Lovely post. And I do love Neom candles, just wish my bank account did! This is without a doubt my kinda' tag. I'm all about the relaxing! 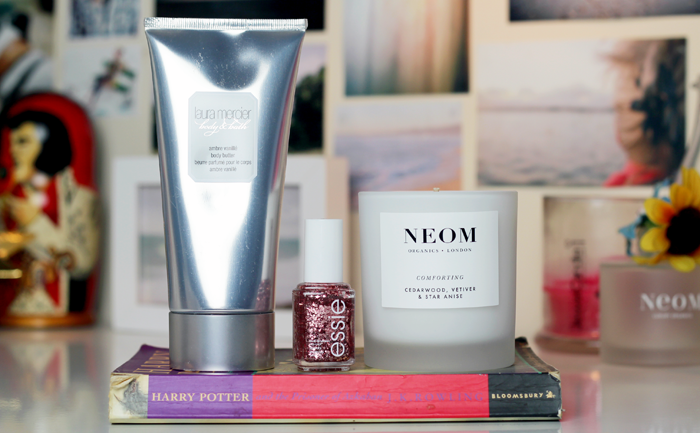 Also loved your answers and photos :) I neeed that Essie nail polish in my life. I love this tag, so interesting to see what other people do and if there's anything I'm missing out on. Being in comfy clothes, drinking a cup of coffee, reading or just doing nothing is what I like to do during my me time. I loved this post. I do pretty much the exact same things as you do during my me-time haha.